Type in your search terms and press enter or navigate down for suggested search results. 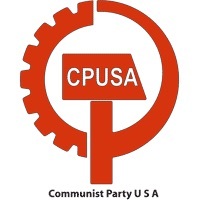 One of the biggest political developments of the last century was the rise and fall of the American Communist Party. Introducing long overlooked archival material and fresh interpretations, this conference at Williams College offers an exploration of the party’s evolution, leadership, and demise since its founding in 1919 to illuminate trends in American society, not only politically but socially, culturally, and economically. These include the U.S. government’s reaction to radicalism after World War I, the rise of African American activism, the heyday and later decline of the American labor movement, and the role of communists in Hollywood (both real and imagined), as well as in the farm belt and other regions of the country. Alongside these domestic party links, panelists will also explore the efforts of Americans to assist Soviet causes both at home and abroad particularly during the Spanish Civil War and World War II, as well as the U.S. government’s response to Soviet agents’ own infiltration here, a response that has affected the U.S. security state in American life to this day. Participants will also explore the legacy of the party’s role in such areas as film and politics, even after its eclipse following Khrushchev’s secret speech against Stalin and its near disappearance after the Cold War, a legacy still colored with lasting acclaim for its record on social justice issues. This conference is sponsored by the Stanley Kaplan Program in American Foreign Policy and the Political Science Department. This panel will explore the evolution of the Party line and the ideas of Party leaders as they promoted revolutionary change in America. James Ryan, professor of history at Texas A & M and co-organizer of the conference, will speak about Earl Browder and the Soviet Union. Edward Johanningmeier, adjunct faculty of the University of Delaware, will discuss William Z. Foster and American communist leadership. This panel will also include two papers on California communism; one by Beth Slutsky, scholar of modern American women’s history of University of California, Davis, on local California leaders and the gendered radicalism in that state, and another by Bob Cherny, professor emeritus of San Francisco State University, who will speak about former Communist party members in the San Francisco Bay Area. This panel will look at the Red Scares in the U.S. in 1919 and the McCarthy period. This session will also consider the impact of these scares at home and abroad, with panelists discussing the Communist Party USA’s relationship with the Soviet Union. Lori Clune, associate professor of history at California State University Fresno, will discuss the reaction of the public to the Rosenberg case. Denise Lynn, associate professor and director of gender studies at the University of Southern Indiana in Evansville, will talk about the roots of anti-communism in the party. John Sbardellati, associate professor of history at the University of Waterloo in Ontario, will speak about the FBI and the Hollywood Red Scare. Veronica Wilson, associate professor of history at the University of Pittsburgh at Johnstown, will discuss the work of ex-communist FBI witnesses. A paper by Veronica Wilson, associate professor of history at the University of Pittsburgh at Johnstown, will explore the work of ex-communist FBI witnesses. Randi Storch will give a luncheon talk titled “‘Run Quick and Find the Reds’: Historians’ Search for American Communists.” Storch is chair and professor in the history department at SUNY Cortland. All are welcome to join. Lunch will be provided. This session will look at the party’s involvement with movements for racial equality, women’s rights, social justice, labor activism, and peace activism. Vernon Pedersen, professor of history, head of the Department of International Studies at American University in Sharjah, and co-organizer of the conference, will speak about the role of the party in the Spanish Civil War. Bill Pratt, professor of history emeritus at the University of Nebraska at Omaha, will discuss the party and the farmers movement. Eric McDuffie, associate professor of African American Studies at the University of Illinois at Urbana-Champaign, will speak on the relationship between party and the anti-racism movement. Victor Devinatz, Distinguished Professor of Management at Hobert and Marian Gardner Hinderliter Endowed Professor at Illinois State University, will conclude this session by discussing the role of the party in labor unions. This panel will look at the party’s involvement in espionage and propaganda efforts to spread its messaging in the United States with journalists and other agents of influence. The panel will also consider the implications of the espionage and propaganda efforts on U.S.-Soviet relations. This panel will feature Katherine A.S. Sibley, professor of history and director of American Studies at Saint Joseph’s University in Philadelphia and co-organizer of the conference, who will speak on early Cold War espionage. Steve Usdin, independent scholar and journalist, will discuss the Rosenberg spy ring. This panel will conclude with a paper by R. Bruce Craig, specialist in the history of espionage, on the Hiss case and its controversies. The fifth and final session will explore how the Communist Party affected the lives of Americans, from its message to the working class, to its scrutiny by the U.S. government, to any related consequences of the party activism. Ellen Schrecker, writer and retired professor of history at Yeshiva University, will speak about McCarthyism. Harvey Klehr, Andrew Mellon Professor Emeritus of Politics and History at Emory University, will discuss the relationship between the party and Moscow. Maurice Isserman, professor of history at Hamilton College, will discuss revisionism and the Moscow archives. Glen Gebhard, Emmy Award-winning film and video director of documentaries and narrative films, will discuss his documentary film work, including an interview with Gus Hall, a leader and chairman of the Communist Party USA and its four-time U.S. presidential candidate. 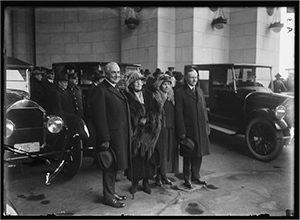 This conference explores the evolution of scholarly understanding of the dynamic, dramatic, and later deeply economically depressed epoch of three presidents, Warren G. Harding, Calvin Coolidge, and Herbert Hoover, 1921-1933. Situated in the deep valleys cast by the twin peaks of Woodrow Wilson and Franklin D. Roosevelt, these three men and their times have long been cast in shadow. For much of the twentieth century, historians caricatured or dismissed their lives and legacies as part of an unfortunate aberration between the Progressive Era and the New Deal. By the early 1960s, revisionist scholars began to take a fresh look at this era. Diplomatic History, the flagship journal for the study of United States diplomatic relations, will host a workshop at Williams College to mark the centenary of the Great War. The conference is entitled “Legacies of the Great War: A Centennial Commemoration,” and the proceedings will be published in the September 2014 issue of the journal. Scholars will focus on themes ranging from the war’s effect on international law, the ways in which Americans experienced the war both on the homefront and the battlefront, Woodrow Wilson and his legacy for global studies, the war’s legacy for international relations (for the United States and Germany in particular and for “extra-European” peoples in general), the place of religion in World War I’s legacy, and the ways in which the war affected U.S. immigration law and regulation and migration patterns to America. This workshop, with panels held in a roundtable format, will take place on April 19, 2014, at Williams College, in Griffin Hall, Room 3. It is open to the public, including the scholars, students, and the community at large. This event is co-sponsored by the Stanley Kaplan Program in American Foreign Policy. For further information, please call or email James McAllister ([email protected]) at (413) 597-2572. Williams College will host a conference on the new biography George F. Kennan: An American Life by John Lewis Gaddis from 8:45 am to 3 pm on Saturday, April 7, in Griffin 3. Gaddis is a noted historian of the Cold War and grand strategy. He has been called the “Dean of Cold War Historians” by The New York Times. Gaddis is best known for his analysis of the strategies of containment employed under the presidencies ranging from Harry S. Truman to Ronald Reagan. Gaddis recently won the American History Book Prize for his work. He will offer concluding remarks at 2:00 pm. The event is free and open to the public. Williams College will host a conference with the Office of the Historian at the U.S. Department of State to mark the publication of the SALT I, 1969-1972, and the National Security Policy, 1969-1972, volumes of the Foreign Relations of the United States series. The March 3 conference is the culmination of the 150th anniversary of the Foreign Relationsseries, which publishes declassified documents that record historic foreign policy decisions and diplomatic activity. The conference will explore the themes of the two volumes, which contain extensive information about U.S. policy initiatives in the 1970s post-hegemonic era. Each volume incorporates U.S. government records from a wide variety of sources—including dealings between the White House and Congress, transcripts of White House meetings with high-level policymakers, and coverage of interagency efforts to define and articulate U.S. policy—to provide a thorough record of major policy formation. The panel discussions and keynote address are free and open to the public and will take place on Saturday, March 3, in Griffin Hall. The conference is sponsored by the Stanley Kaplan Program in American Foreign Policy and the Department of Political Science. 3:45-4:30 pm SALT I: Historical Turning Point? 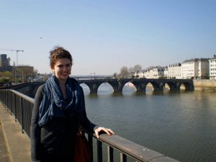 Williams Co llege senior Evelyn Denham has been named a recipient of the prestigious Gates Cambridge Scholarship for study at Cambridge University. 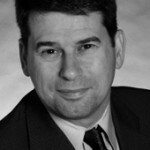 Daniel W. Drezner received his BA from Williams in 1990 with a degree in Political Economy. He is professor of international politics at the Fletcher School of Law and Diplomacy at Tufts University, a senior editor at The National Interest, and a contributing editor at Foreign Policy. 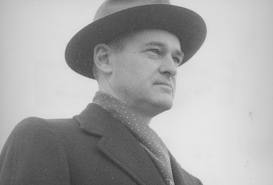 Prior to Fletcher, he taught at the University of Chicago and the University of Colorado at Boulder. He has previously held positions with Civic Education Project, the RAND Corporation and the U.S. Department of the Treasury. 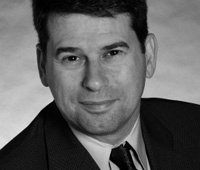 Drezner has written four books, including All Politics is Global (Princeton, 2007), and edited two others, including Avoiding Trivia (Brookings, 2009). He has published articles in numerous scholarly journals as well as in the New York Times, Wall Street Journal, and Foreign Affairs. He is an occasional commentator for NPR’s Marketplace, and keeps a daily weblog for Foreign Policy magazine. His latest book, Theories of International Politics and Zombies, was published by Princeton University Press in February 2011. Mark Atwood Lawrence is Associate Professor of History and Senior Fellow at the Robert S. Strauss Center for International Security and Law at The University of Texas at Austin. He is the author of two books, Assuming the Burden: Europe and the American Commitment to War in Vietnam (2005) and The Vietnam War: A Concise International History (2008). Lawrence is currently the Stanley Kaplan Visiting Professor in American Foreign Policy at Williams College. International Studies Colloquium.